The foundation of any community is rooted in its people, its economic base, and its foresight into the future. 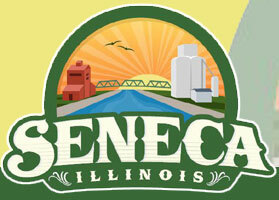 Seneca's initial "planning program" as it was referred to, was completed by Stuart Associates and adopted in the early 1960's. Subsequent revisions were undertaken in 1992 and then again in 2002, with the assistance of in-house Board and Commission members. The Village's decision to implement an update to their existing plan has acknowledged a concern for future growth and the need to direct development and redevelopment efforts to ensure the prosperity of the community. The plan will serve as a comprehensive plan as directed under the Illinois 65ILCS 5/11-12-5 law, which states that a municipal plan commission can prepare and recommend to the village board or city council a comprehensive plan 'for the present and future development and redevelopment of a municipality." The Comprehensive Plan Update will establish a statement of policy, expressing the goals and objectives of the Village to develop a well-planned community and maintain a high quality of life for its residents. Comprehensive planning is part of an ongoing growth management process that is needed to ensure effective implementation of a community's future vision and review of new development. The purpose of the Plan is to influence the rate, amount, type, location and quality of future development within the community. Effective growth management is the product of combining the recommendations and tenets outlined in the Plan with implementation tools as described in Chapter Eight. Decisions on funding and regulatory controls are typically made during the implementation phase of the comprehensive planning process. It is important to note that adoption of this Comprehensive Plan Update does not signal the end of the planning process in Seneca. Rather, it signals the beginning of a process of continuing implementation whereby the Plan serves as a guide for the Village to make decisions affecting the future of the community. This requires that Village leaders and the community be familiar with and generally support the major aspects of the Plan. Therefore, it is important that this Plan be well publicized, understood, and supported by the entire community for it to be recognized as a practical and effective guide for the Village. It is also important to keep in mind that the Plan is not static. The Village must periodically re-examine and update the Plan as conditions and community needs change. 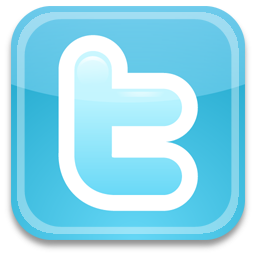 All documents in require PDF reader software. Prepared by Teska Associates, Inc.